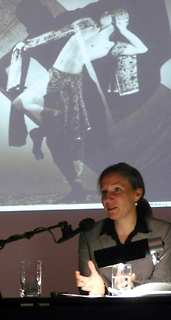 The symposium “Inspirations – Interactions: Pictorialism Reconsidered,” hosted by the Kunstbibliothek in Berlin November 21–23, 2013, had the goal of providing new impulses to the discussion of art photography around the turn of the last century. 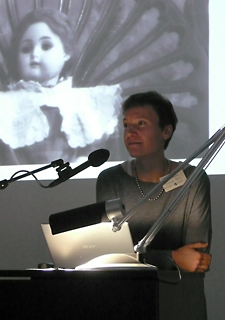 Thirteen international scholars were invited to take part and present new views on Pictorialism, with particular attention to frequently neglected themes; these include the relationship between art photography and other media, the late phase of the Pictorialist movement, and the movement’s complex relationship with the expressions of photographic Modernism that followed. Points of departure for the new and strengthened interest in this particular photographic direction was the Kunstbibliothek’s own work on the collection of Ernst Juhl within the framework of its Pictorialism research project. For one thing, the Juhl collection contains works that encompass typically “Pictorialist” motifs, implemented using the elaborate printing techniques that were established at the time. At the same time, however, it contains photographs that drew on a reduced, geometric formal vocabulary that already point clearly toward a new photographic aesthetic. In texts he wrote as the art director of the Photographische Rundschau, Juhl wrote in support of the role of reduction and empty space in composition. The symposium placed particular emphasis on subjects that researchers have hitherto given little consideration to – for example the way Pictorialists used painterly compositions to define a world of bourgeois ideals, and how this offered a basis for artists of the early twentieth century to express themselves differently – using specific photographic means – on behalf of a modern society. With imagery that set them apart from commercial photographers, Pictorialists examined new aesthetic and social issues – questioning, for example, the depiction of physical movement as well as the ways gender roles were changing. They also thematized emerging forms of mass production and mass media. Our wish with this symposium was to give a new thrust to discussions of Pictorialism and to make fruitful use of the latest assessments. The texts included here are based on talks delivered in Berlin in November 2013.